The AURA™ Pro Truck Underbody LED Lighting Kit is a premium solution to custom automotive lighting. Designed for simplicity, but engineered for feature-rich, brilliant colors. 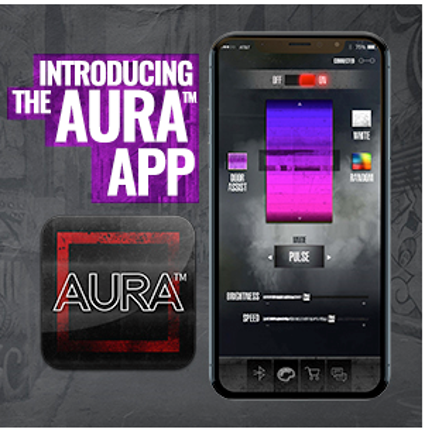 Our AURA™ Pro Lighting Kits put you in control of the mood and ambiance. Paint The Asphalt Underneath Your Truck With The Full Color Spectrum. AURA™ Aluminum Underbody Bars for Trucks are made with SmartColor LEDs. These revolutionary LEDs have been designed to combine Micro-LEDs of the 3 primary colors into a single SMD (Surface Mounted Device). This allows a perfect mixture of color at the micro level, emitting a more pure, brilliant glowing effect. Built Truck Tough. Built for the Road. Our underbody bars were built to last. Constructed of aluminum and filled with dense silicone, our kits are designed to protect against road debris, moisture and anything else life can throw at it. Hear It, See It, Feel It with SoundSync™. Just plug it in and hit "ON". Unique to OPT7, our kit includes (3) different sized fuse adapters that allow you to plug your kit directly into your fuse box to ensure a clean install. The AURA Underbody Light Kit come with two 36" and two 48" rigid aluminum light bars, so you can easily arrange them in a way that works best for your truck and SUV. 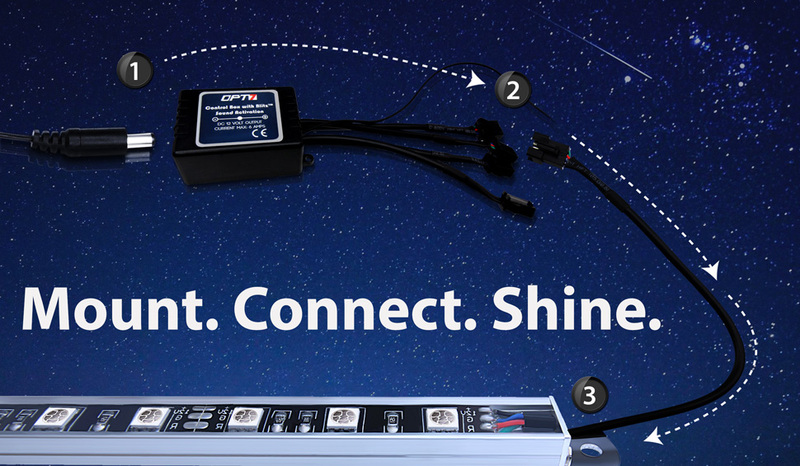 Once you've mounted your light bars, you just need to plug them into the Ubox control box. We've included four 10ft cable extensions to make things even easier!